William Paterson University provides undergraduate students with a wide range of academic opportunities that challenge their intellectual growth, including participation in faculty-mentored research and other scholarly and creative activities. These experiences can be life-changing for our students, preparing them for future success in their careers or graduate study. Undergraduate students have opportunities to make presentations and attend conferences with faculty, and many have earned national awards and recognition. Here are some highlights from the vast array of research projects and other experiential learning activities by University undergraduate students. Robert Spangler ’19, a nursing major in the humanities honors track, studied motivations for political activism in young people. For this study, he conducted oral history interviews with 1960s student and young adult activists, as well as examined memoirs, expert literature, and other historical accounts of this generation. “Anecdotal accounts as well as statistical measures including voting rates suggest today’s young people are less effective politically than young people of previous generations, particularly the 1960s,” he says. “My research on youth activism of the 1960s provides understanding of youth political engagement and offers insights into the political lives of young people today. 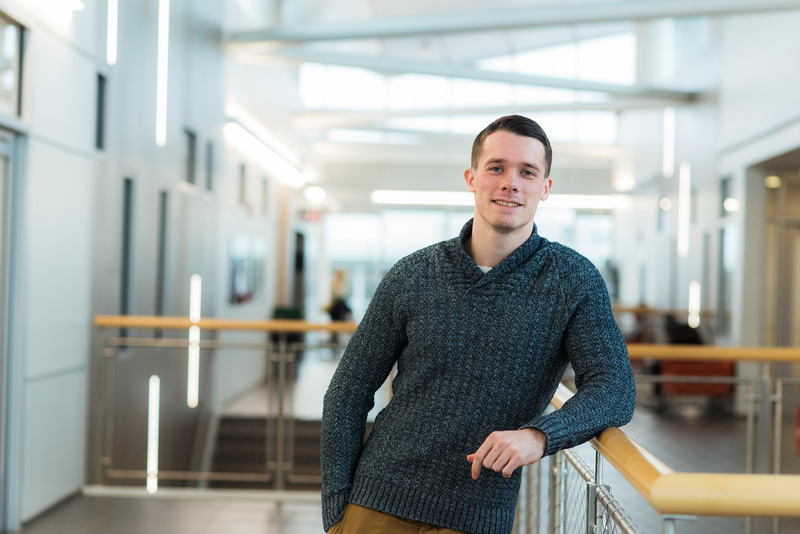 This may help us understand how to engage and mobilize young people, possibly encouraging more of them to invest in their communities and represent their own interests and opinions.” After graduation, Robert plans to work as an ICU nurse before seeking further education in nurse anesthesia. For her honors thesis in the clinical psychology and neuropsychology honors track, psychology major Kayla Huntington ’19 studied “Personality, Cognition, and Stress in First Responders.” The study examines how differences in personality, affect, and cognition in individuals may help explain why some people develop PTSD and stress-related disorders while others do not. “The hypothesis is that individuals with higher sensation seeking personalities and better executive function may be less vulnerable to stressors. 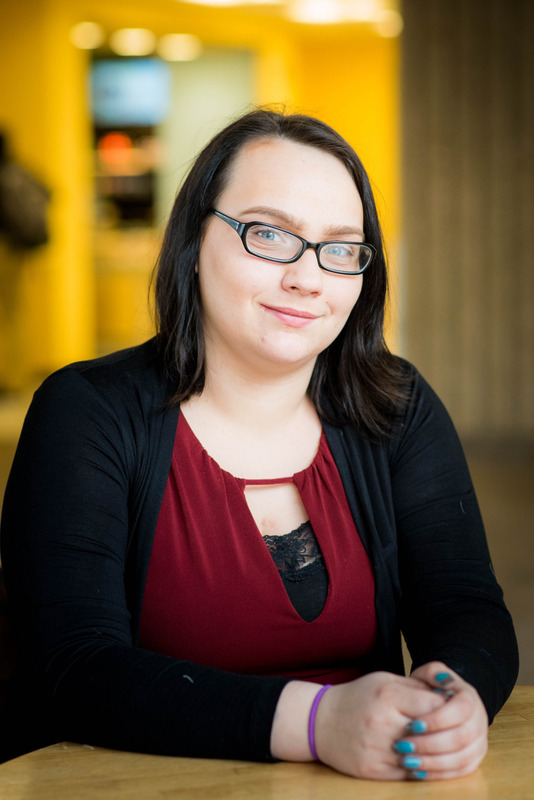 We expect that those diagnosed with PTSD or stress-related disorders will exhibit distinct patterns of anxiety and sensation seeking, as well as differential performance on select cognitive tests,” says Kayla, who plans to attend graduate school to continue her study of neuropsychology. Kayla’s study is part of a larger, ongoing research project that will be continued by her fellow co-investigator Rebecca Pavlick. Working on an interdisciplinary research project with Professors Jaishri Menon (biology), and Kevin Martus (physics), biology major Veronica Holganza ‘20 is investigating the effects of atmospheric pressure plasma on wound healing and regeneration in tadpoles. Atmospheric pressure plasma technology is increasingly finding applications in the field of medicine. 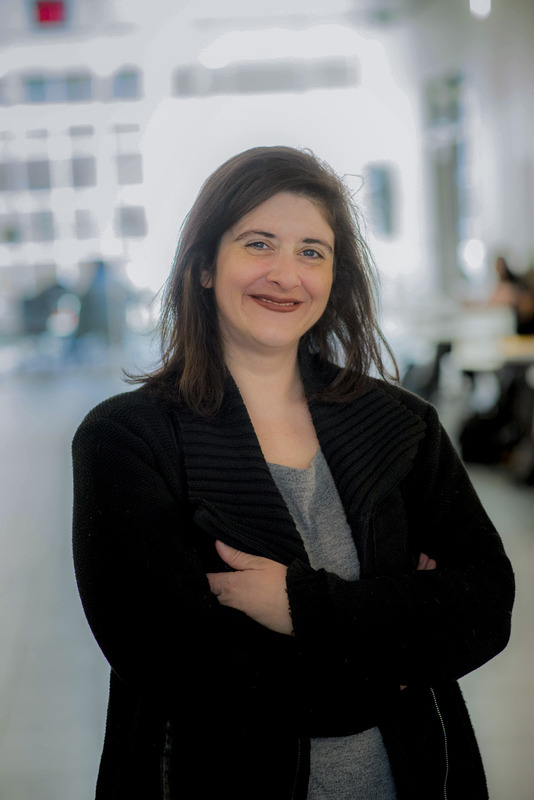 Her research specifically focuses on the roles of calcium signaling and reactive oxygen species during wound healing and tail regeneration following exposure to plasma. 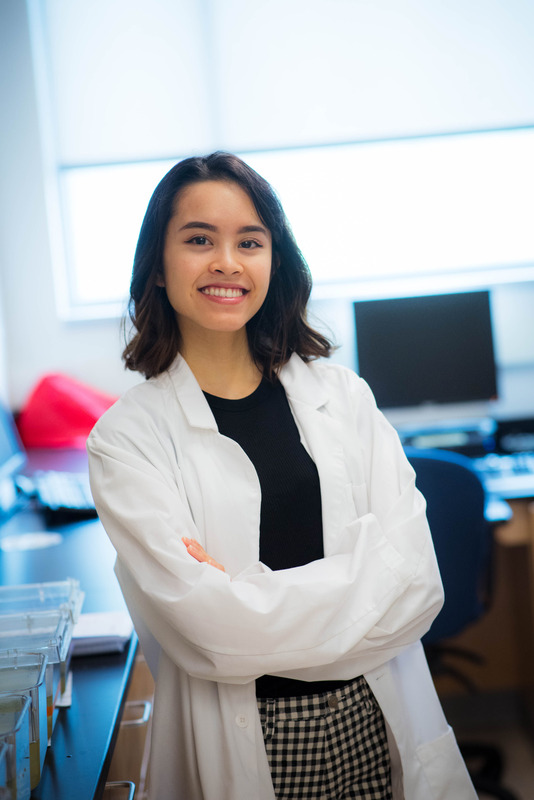 “Being a part of Professor Menon’s research has not only enriched my education but has also provided me with multiple opportunities to learn sophisticated research techniques including confocal microscope, participate in research conferences, meet faculty members in the College of Science and Health, and being nominated as a student member for the American Society for Biochemistry and Molecular Biology,” Veronica says. 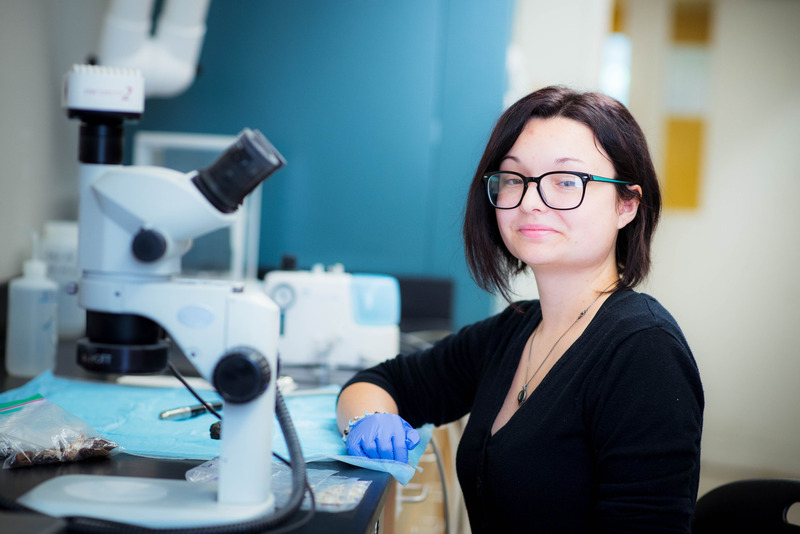 Student Allison Neumann ’19, led by environmental science professor Martin Becker, is studying both modern and ancient shark teeth, documenting changes in ocean chemistry and temperature over millions of years and studying how those changes have affected sharks. 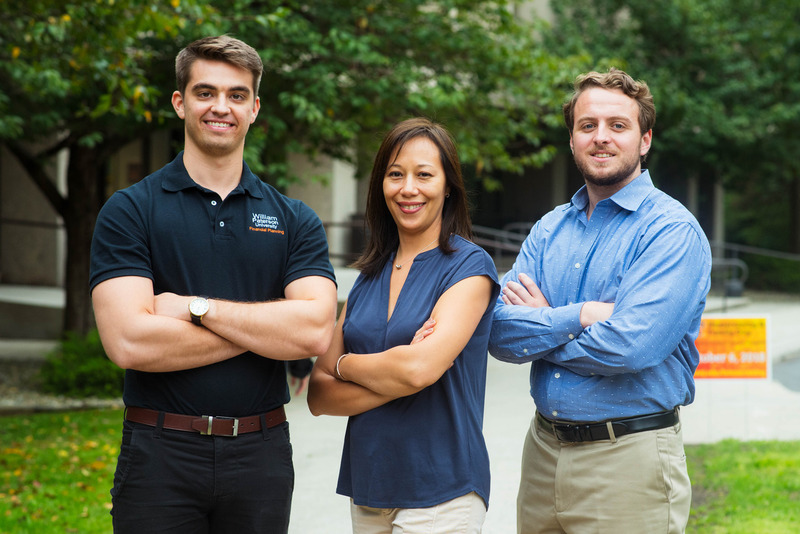 Jonathan Hommes ‘19, Maria Velarde Ku ‘19, and Robert Wolfe ‘19 competed as a team in the Financial Planning Association’s 2018 Financial Planning Challenge in Chicago, IL. The students made up one of eight teams chosen from more than 20 university teams nationwide. 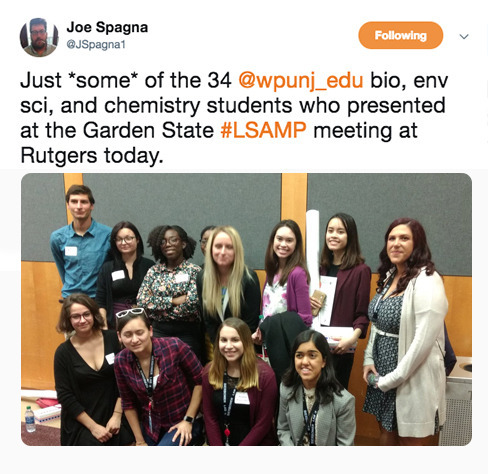 Biology professor Joe Spagna shares a group photo from a Garden State – Louis Stokes Alliance for Minority Participation (GS-LSAMP) event where 34 WP students presented research. GS-LSAMP is an alliance of universities dedicated to increasing the number of underrepresented minority STEM graduates. Communication major Brian Jaeger ‘18 has been selected to present his research proposal, “Mobile Phones: A Revolution of Evolution” at the Joint Journalism and Communication History Conference at New York University. Brian is one of very few undergraduates whose proposal was accepted at this conference, which attracts faculty and graduate students from around the world. 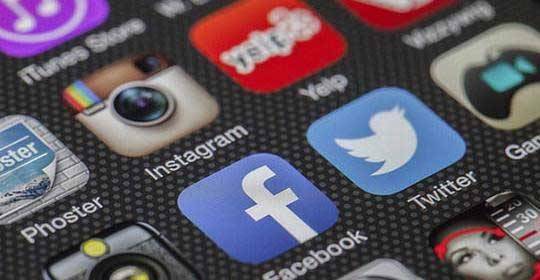 “We live in the era of social media, where the news is here today, gone tomorrow. You could miss major events if you are not connected to the world around you. It is my belief that with further research, I can prove that staying connected on higher levels, such as social media, email, and internet use, is the reason for increased smartphone use,” Brian says. 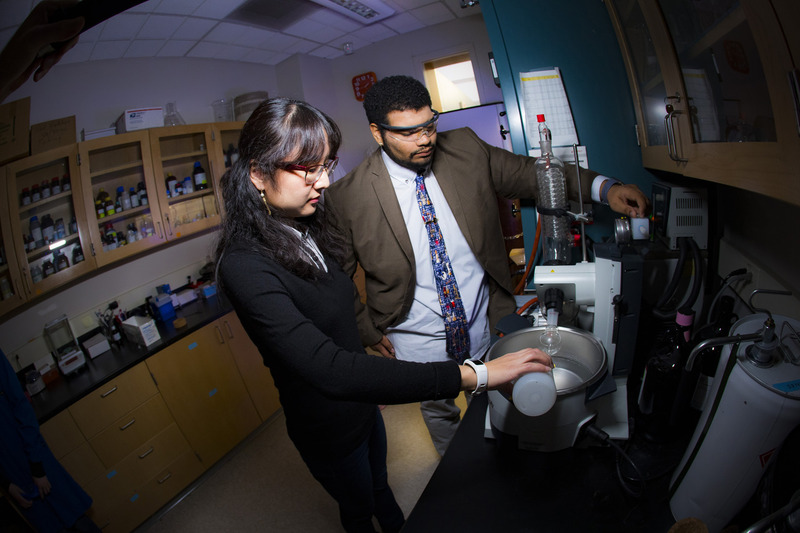 Chemistry major Justin Domena ’18 is working with Professor Yalan Xing to optimize routes of halogenation on alkynes, a chemical reaction used in the creation of many commonly used medications. They are using green chemistry techniques that produce less waste, have fewer steps, and use less metals that are bad for the environment. “The Chemistry Department fully trains you to use equipment that is relevant to the industry. Many other undergraduate programs do not offer this opportunity. When you get to work hands on, you learn the material more deeply,” Justin says. They are currently collaborating to submit their manuscripts for this project, entitled “Highly Efficient Recyclable Sol Gel Polymer Catalyzed One Pot Difunctionalization of Alkynes,” to advanced catalysis publications. 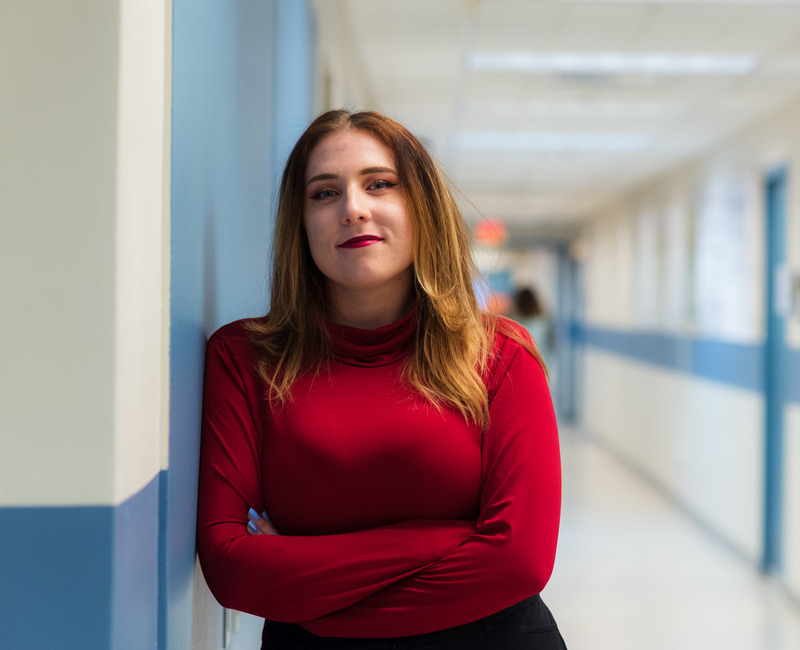 Miranda Galambos ‘19, a history and early childhood education major, conducted a study entitled “Exploring Resilience and Posttraumatic Growth in Survivors of Childhood Trauma,” for her thesis in the Honors College social sciences track. Miranda worked with psychology professors Sumi Raghavan and Neil Kressel on this project. “There is a growing body of work indicating that children can cope and even thrive in the face of trauma by displaying phenomena known as resilience and posttraumatic growth. Synthesizing findings from psychological and educational literature, my thesis provides an overview of the literature on resilience and posttraumatic growth, and concludes by providing recommendations for a strengths-based approach to recovery from trauma that may be useful for clinicians and educators working with this vulnerable population,” she says. 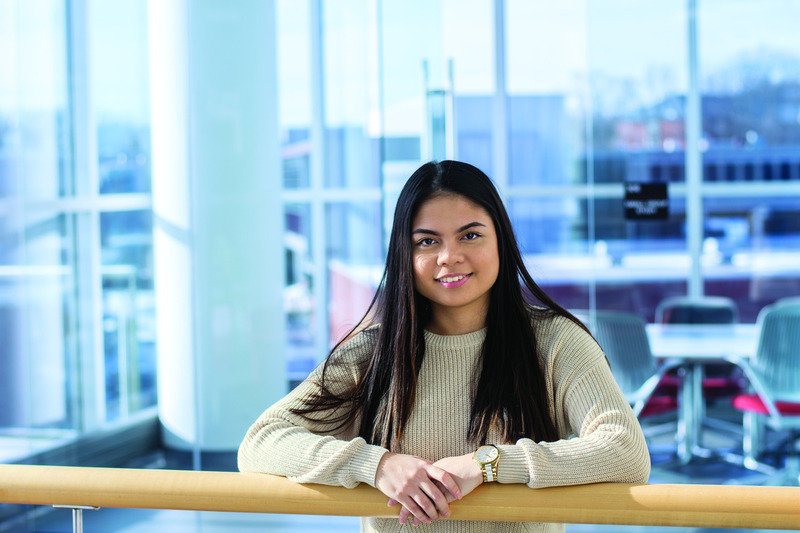 Nursing major Celine-Ann Samaniego ’18 conducted a systematic review of research literature related to the effects of laughter therapy on patient outcomes. 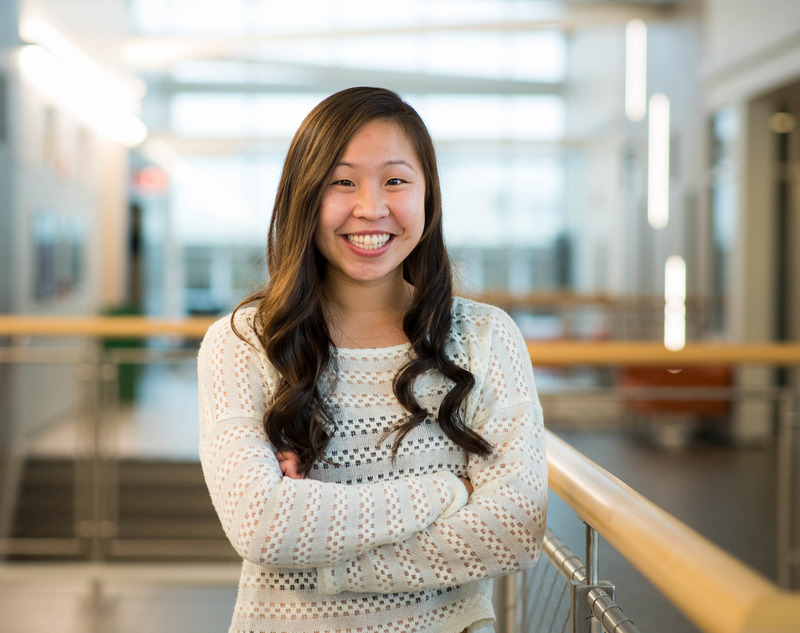 Celine-Ann, who is also a senior midfielder on the women’s soccer team, will present the results of her honors nursing thesis at the Northeast Regional Honors Conference. “[Laughter] can overall help a patient’s emotional state, especially in the geriatric population, which tends to be under more emotional distress,” she says. “I enjoy laughing until my stomach hurts; you’re just enjoying life in that moment, and laughter is something that can be done anywhere. I think passing on knowledge of alternative treatment methods, ones that don’t rely on medication, is a great thing.” Celine-Ann currently works at St. Joseph’s Hospital in Paterson as a patient care assistant in the pre-op and post-op setting. 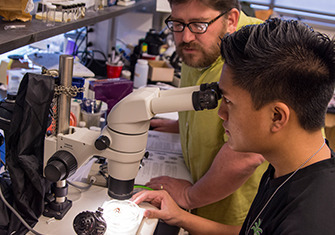 Working with Professor Joseph Spagna, biology students Aldrick Espinosa ‘19 and Dylan Lewin '19 identified the Pseudeuophrys erratica, a species of spider indigenous to Central Europe, on the William Paterson campus. This marks the first time this species has been documented in New Jersey. The research team spent the summer collecting insects on campus and analyzing their taxonomy and DNA barcoding for identification purposes. 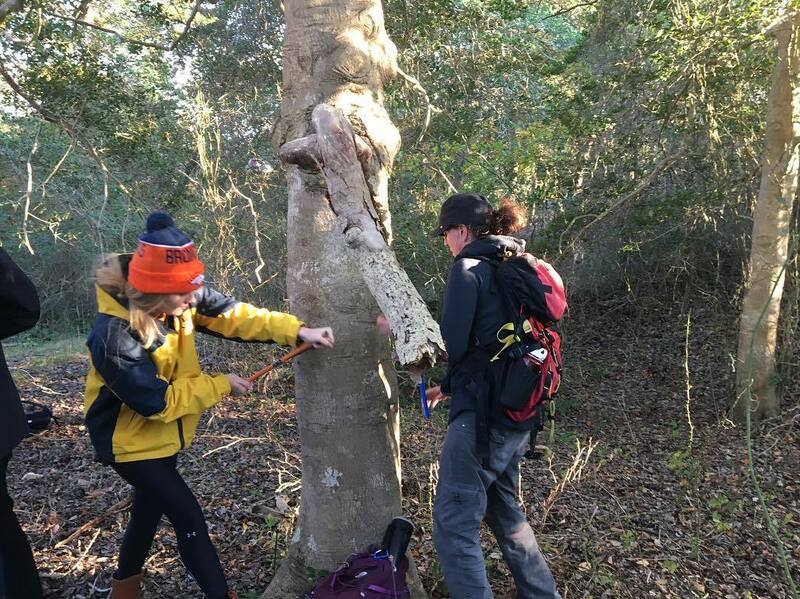 The project is part of an anthropod biodiversity survey to compile research for publication regarding whether climate and population changes in the region will impact the biodiversity of the University campus over time. 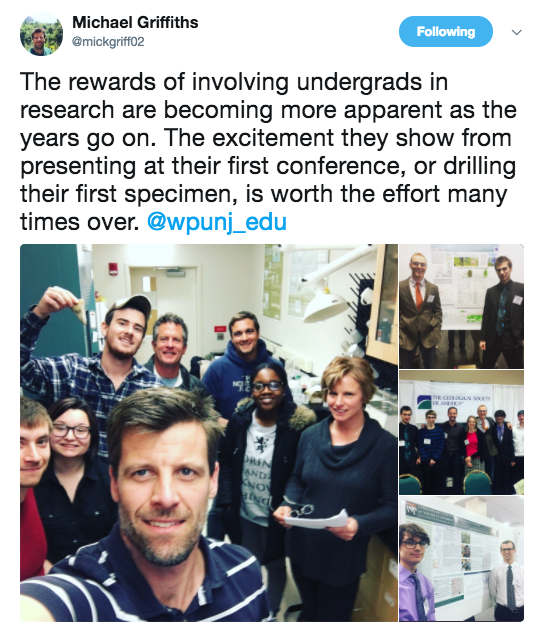 Environmental science professor Mick Griffiths shares scenes from some recent undergraduate research activities. 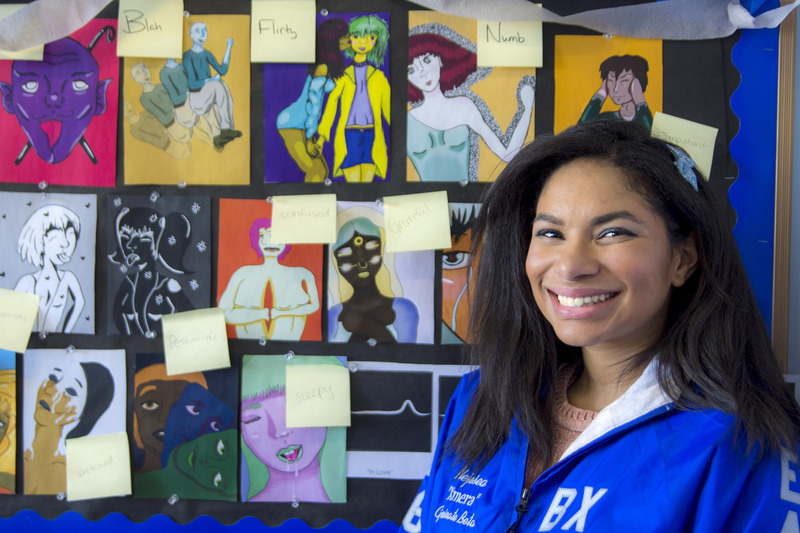 Studio art and art history major Nejesea Brown ‘18 has constructed more than 100 comic strips for her honors thesis in the performing and literary arts track. She worked on this project with her thesis advisor, Professor Philip Cioffari. 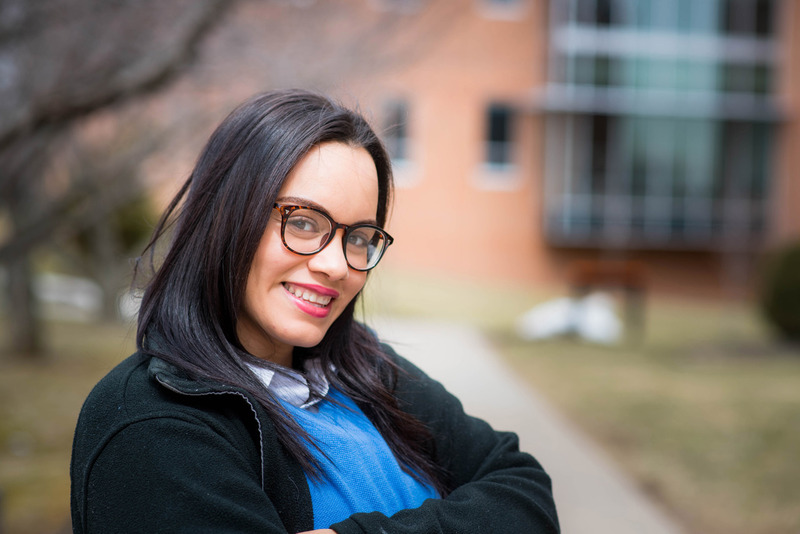 Political science and legal studies major Karen Mendoza ‘18 studied how immigrants are portrayed in American children’s television shows from 2001 to 2017. Using content analysis, the study looked at 30 seasons of various children’s television programming from Nickelodeon and Disney Channel. It also looked into speeches of Presidents George W. Bush, Barack Obama, and Donald Trump to observe their approach to immigration and how this affected public opinion on immigrants. Then, the study analyzed the relationship between public opinion on immigrants and immigrant representation on children’s television shows. Karen worked with Professor Fanny Lauby McKinley (political science) and Professor Neil Kressel (psychology) on this project for her thesis in the Honors College social sciences track. 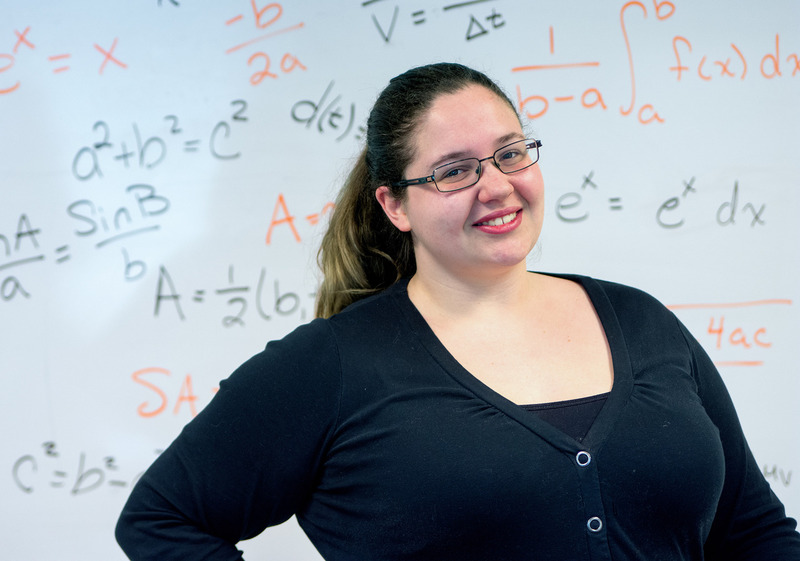 Education and math major Summer Pirro ‘18 looked at the relationship between anxious teacher behavior and student performance for her honors thesis in the cognitive science track, working with psychology Professor Amy Learmonth. To study this, she recorded herself teaching a math lesson in two different ways. 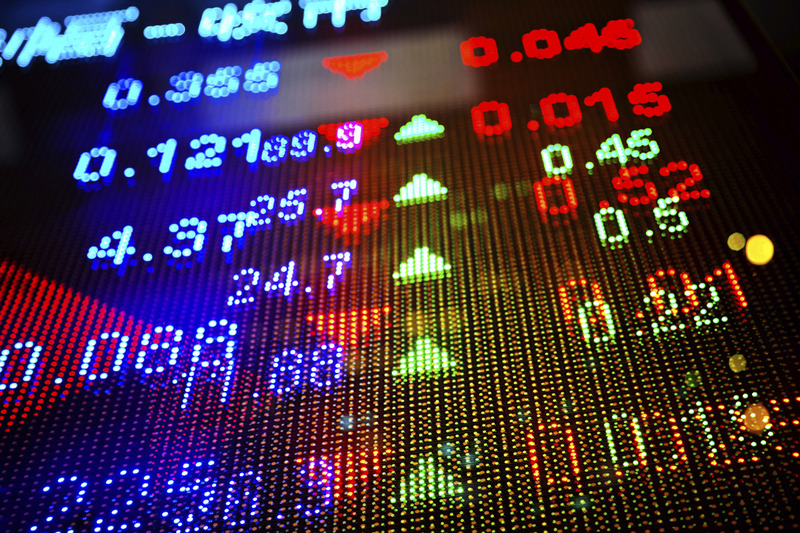 Moetaz Shair ‘18, honors student and global business major, studied whether scandals in the stock market affect not just the market but also potential and current investors’ faith in the stock market. After graduation, Moetaz has been awarded a full scholarship to pursue his master’s degree at Lingnan University in Hong Kong. “By comparing past and present stock prices, finding the tipping point in which the scandal occurred would lead researchers and investors to determine when a future scandal would occur and whether to buy the stock while a scandal is currently unfolding,” Moetaz says. Psychology major Govinda Mota ‘18 has been working with Professor Megan Conrad since last summer, traveling to the Bergen County Zoological Park to collect on-site data on how children learn about animals in an informal learning environment, such as a zoo, museum, or science center. Govinda will present this study, “Does anthropomorphism decrease children’s learning about zoo animals?” at the Eastern Psychological Conference. For her thesis in the Honors College clinical psychology and neuropsychology track, Annelise Malgieri ‘18, a double major in psychology and exercise science, conducted a research study on the effects of music on autistic teens’ daily activities, working with psychology Professor Bruce Diamond. Annelise will present her research, entitled “The Acute Effects of Music on Aerobic Fitness and Facial Recognition in an ASD Individual,” at the Northeast Regional Honors Conference in spring 2018. Her goal is to become a pediatric occupational therapist.